If you like Mexican food like I do, you need to know how to harvest cilantro so it’s always fresh for your recipes! 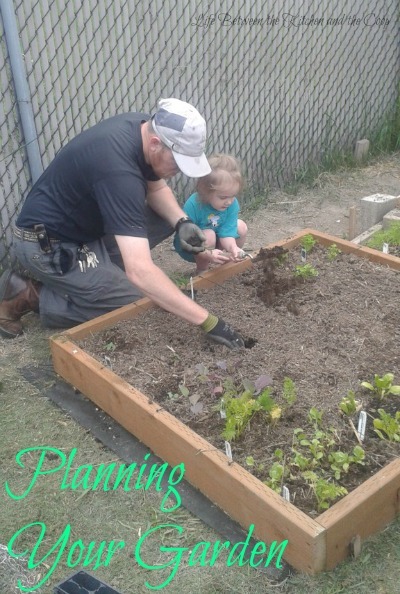 Garden ideas like that are so important, because you may have noticed that cilantro can be a tricky grow to garden if you don’t know when to harvest it. It’s leaves will lose their flavor once it “goes to seed”. You cannot keep it from going to seed indefinitely, but you can delay it significantly if you harvest cilantro properly. 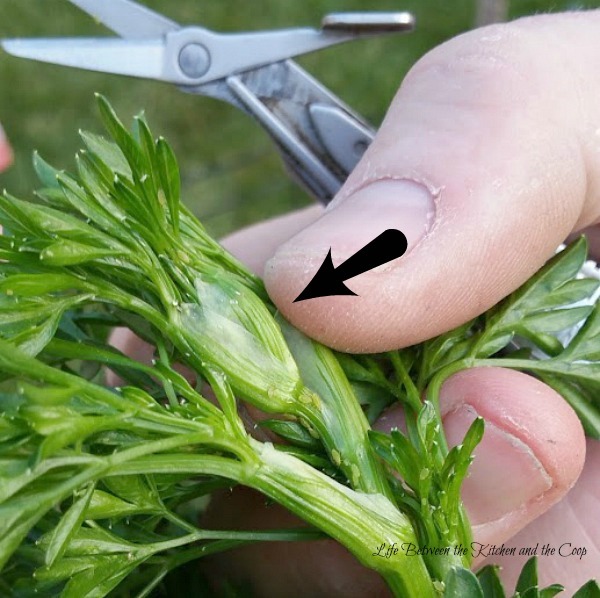 The tips in this post will help you know when to harvest your cilantro leaves to get the most out of your plant before it goes to seed! When is the Best Time to Grow Cilantro? Hot weather makes cilantro go to seed quickly (we don’t want that!). Cilantro does better in a little cooler temperatures. Spring and fall are usually the best times to grow cilantro plants and get the most out of them. It can be a good idea to cycle your plants – plant some cilantro, then a few weeks later while harvesting those plants, plant a few more. That way by the time the first plants go to seed, the second plants are ready to harvest, and so on. What Does It Mean When Cilantro “Goes to Seed”? 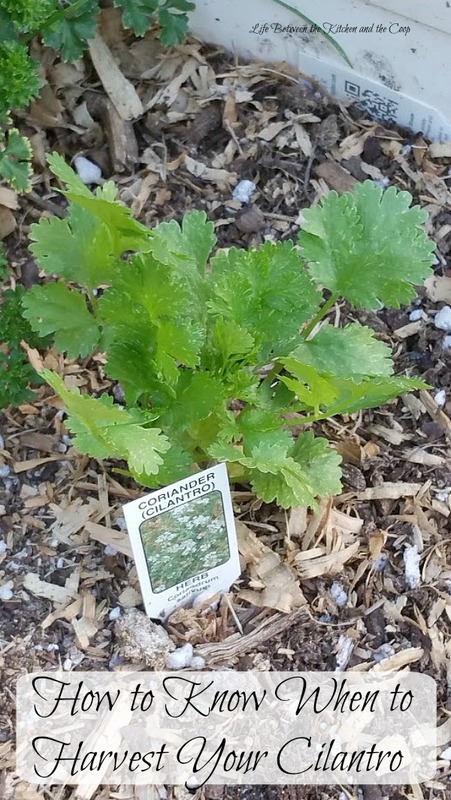 When cilantro goes to seed it grows a long stalk with whitish flowers. This is also known as “bolting”. The bad news is, once those whitish flowers are there, that plant is about done giving you yummy, flavorful cilantro leaves. You can’t just cut off the white flowers and get the flavorful cilantro leaves back. But…there is a silver lining to this cloud! Eventually those whitish flowers will turn to seed! If you let those seeds dry completely it makes the herb coriander (yep, you get two different herbs from one plant-did you know that?). 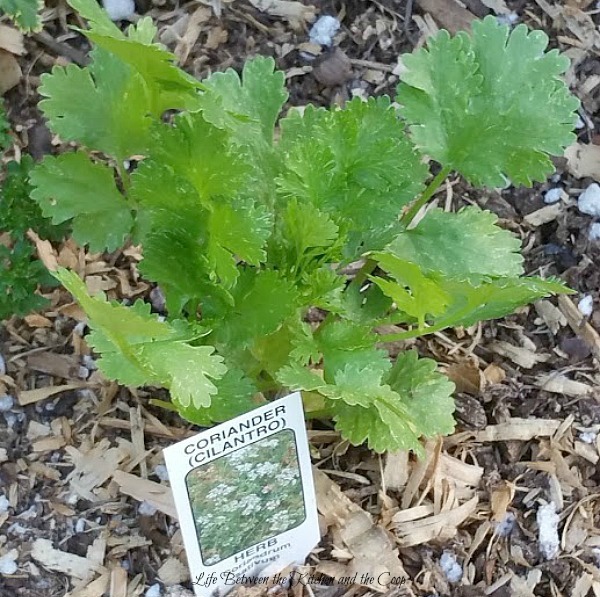 If you live in an especially hot area, there are slow-bolt types of cilantro seeds available which may delay the plant going to seed a bit (slow-bolt cilantro can handle a little higher temperatures). 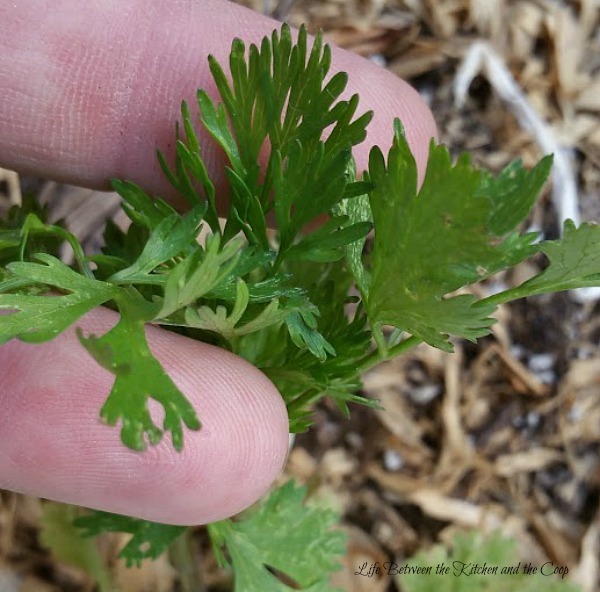 How Do You Know When to Harvest Cilantro Leaves? At this point you should harvest the leaves at least once a week. When harvesting cilantro, you can pick the whole plant if you wish, but it isn’t necessary and will obviously decrease how much cilantro you will get from the plant over time. To harvest just the cilantro leaves, you clip them off near the stem of the plant and put them in the refrigerator until you are ready to use them to cook. To make the cilantro leaves stay fresh longer, you can refrigerate them in a sealed mason jar. If you will not be able to use all of the cilantro leaves while they are fresh, you can dry them and bottle them for your spice rack. 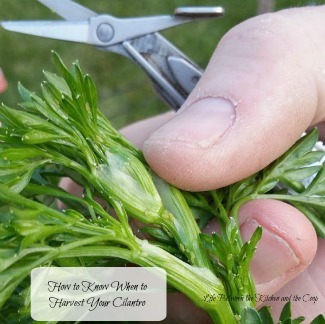 To do that you can use the same method that I used to dry parsley in this post. It is important to remember that dried cilantro is not as flavorful as fresh cilantro, so you may need to use more of it than you expect. If you see these little seed pods on your plant, that means it is getting ready to go to seed. Cilantro is delish, but can definitely be a source of frustration for gardeners. I hope these tips on how to harvest cilantro have helped! P.S. If you want to get the most out of all of your garden produce, click here to check out my post on how to preserve all of that zucchini you grow!